← The Sports Archives – Indians Have A Good Track Record In Answering Abuse With Wonderful Performances! The Sports Archives – BMX Racers Become Olympians: Here Comes the Science! Those of us who are too old to even think about getting on a BMX bike may remember the training sequence in Rocky IV, which pitted Sly Stallone’s old-school workout of chopping wood and running in the snow against Dolph Lundgren’s high-tech regimen of laboratory strength building. Strangely, a similar evolution is taking place in the BMX community as a motley crew of cyclists with their roots firmly planted in the dirt of makeshift bike tracks gain traction in the ultra-elite world of the Olympic Games. In short, competing at the international level against the best of the best takes science, and even though science has always been the magic that turns the gears it was always the furthest thing from a BMX racer’s mind. Now, as BMX greats like Mike King and James Herrara make their full transition from racing pioneers to Olympic trainers, the correlation between science and victory is all too apparent – and will not be ignored. Things like physical mechanics, form and race strategy will always be cornerstones of both BMX and the Olympic training program, but Herrara’s training in exercise physiology and psychology were lauded as key factors for the U.S. BMX team’s capture of a silver and two bronze medals at the 2008 Beijing Olympics. Even so, being the birthplace of BMX will no longer guarantee medals, and those with an inside look at the “new” BMX know that improved catlike reflexes and Jedi mind tricks are just the tip of the iceberg. Team USA was already accused of sending a scout to ride the London track with a 3D mapping device so a replica could be built at the U.S. training facility in Chula Vista, California. It goes to show that there’s more than one way to use science as a weapon, and it looks like those kids with skinned knees and faces stained with Sunny D may have to let go of their innocence to compete in a more cutthroat competition. Hopefully, that loss of innocence will not mean the loss of old-school BMX. 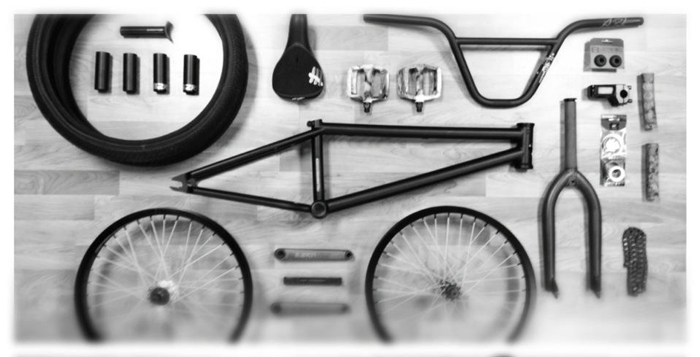 James Madeiros writes for Vein BMX, which sells top-of-the-line BMX frames. This entry was posted in Olympics, Other and tagged 2008 Beijing Olympics, BMX, BMX bikes, bmx racer, BMX riding, Dolph Lundgren, exercise physiology, James Herrara, Jedi mind tricks, Mike King, Sly Stallone, sports and leisure, Sports Archives. Bookmark the permalink. 2 Responses to The Sports Archives – BMX Racers Become Olympians: Here Comes the Science!